Los Alamos High School students will visit Russia this summer under an ongoing youth exchange program sponsored by the Los Alamos – Sarov Sister Cities Initiative (LASSCI). 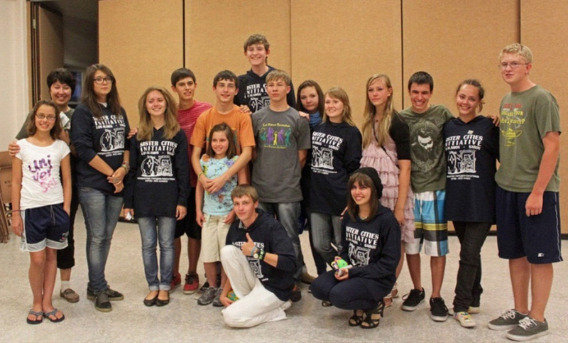 In the last week of June, 11 students and 3 chaperons from our community will fly overseas to spend 2 weeks in Los Alamos’ Sister City of Sarov and have the experience of a lifetime. To help cover the costs of this trip, LASSCI is sponsoring fundraising dinner – A Taste of Russia. This event will feature a delicious, all-Russian menu, a silent auction of Russian crafts, student entertainment, and more. A Taste of Russia will be held in the Vista Room at the Best Western Hilltop House Hotel, 400 Trinity Drive at Central in Los Alamos. Los Alamos has been the Sister City of Sarov, the site of the Russian equivalent of LANL, since the mid-90s. A central feature this relationship has been regular exchanges of high school students, with a contingent from Sarov most recently visiting our city last August. These student exchanges will continue, with Los Alamos representatives traveling to Sarov in 2012, 2014, etc., and Russian counterparts coming here in alternate years. Youth not participating in this summer’s adventure can anticipate the next opportunity in two years. Other Sister City activities involve exchanges of teachers, librarians, business people, doctors, and community leaders. LASSCI also hosts visits by Russian leaders from Sarov and other cities under the Library of Congress Open World program (http://www.openworld.gov/). The next OW event will be in early June, when our community will host a Russian delegation on the theme of Accountable Governance. LASSCI has been designated by the County Council to act on its behalf in implementing these and other activities associated with our Sister City relationship with Sarov. LASSCI is a 501(c)(3) organization, registered with Sister Cities International. Persons wishing additional information, or desiring to participate in LASSCI activities should check the LASSCI website at www.lasarov.org.